The North Manchester Historical Society has been inspired by the state Bicentennial to create a crowd sourced family tree of North Manchester and Wabash County. NMHS has wanted to offer beginners an introduction to genealogy for some time, and this is a fun way to do so. By helping create a community family tree, they also hope to create a deeper sense of community connection and pride. NMHS is very pleased to have the North Manchester Public Library collaborate with them on this project. 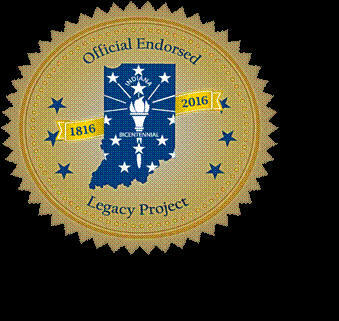 The project has been registered as an official Indiana Bicentennial Legacy Project. According to NMHS President Mary Chrastil, “The crowd sourced genealogy project is near to our hearts because it is such a great way to build community. Everyone and anyone living in Wabash County in 2016 is invited to participate. The project has a multi-generational appeal — we hope children, parents and grandparents will work together to fill out a family tree for each member.” NMHS hopes to attract some groups that aren’t always included in community projects; school children, youth groups such as 4-H, Boy Scouts and Girl Scouts, university students, and retirement community members can all participate. Crowd sourcing, a modern business term coined in 2005, is defined as the process of obtaining needed services, ideas, or content by soliciting contributions from a large group of people, and especially from an online community, rather than from traditional employees or suppliers. One of the best-known examples of crowd sourcing is crowd funding, the collection of funds from the crowd (e.g., Kickstarter). Crowd sourcing involves the desire to solve a problem and then freely share the answer with everyone. The NMHS hopes crowd sourcing will provide a boost to generating a genealogy data base that would normally take years to create. The result will then be shared with local residents and future researchers. NMHS also hopes to attract interest and participation from a new generation which turns to electronic media first (rather than newsletters, newspapers, radio and even television). The NM Public Library is taking the lead on electronic communications. Finally, the hope is that by using crowd sourcing the NMHS will learn new skills, and remind the community that history is connected to today, not just to the past. The NMHS will create a hard copy data base of Wabash County families and a searchable electronic data base that will cross reference the information collected. NMHS will not require documentation on each submission, recognizing that some discrepancies can occur, but also noting that huge data bases like Ancestry.com can also be prone to error. NMHS already holds many family records and documents which are available to researchers who want information about their family history. The crowd sourced genealogy project will greatly increase their ability to provide information. Along with the family tree form, participants can receive instructions on how to begin, a list of on-line resources and information on having DNA tested. The NM Public Library can provide assistance in using Ancestry.com. Basic genealogy assistance is available at the Center for History. The project wants to assist individuals interested in learning more about their family histories to take the first steps in such research. There are many well-developed resources that are already available for in-depth research. For example, the Allen County Public Library in Fort Wayne is recognized nationally as one of the premier genealogy research institutions in the United States. NMHS and the North Manchester Public Library invite YOU participate, and tell your friends and family. Contact the North Manchester Center for History at 260-982-0672, nmhistory@cinergymetro.net for more information. The North Manchester Public Library has obtained Ancestry.com software that can be used by people wishing to research their family trees. This is an expanded version of Ancestry.com that gives access to military records, newspapers, public member trees, birth, marriage and death records, immigration records, and much more. Librarian Amy Acree will present a free workshop on using Ancestry.com in the Blocher Room of the library at 7:00 p.m. on July 19. 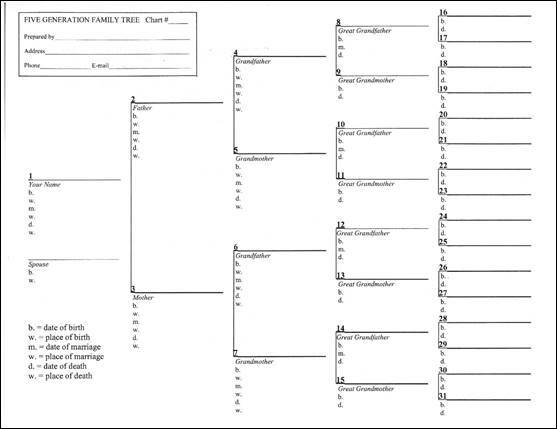 Family Tree forms can be picked up at the library, or at the Center for History. .
One off-shoot of the genealogy project is to create and display a timeline showing when people’s first family members moved to Wabash County. You may be that first family member (for example, we have someone that moved here this year), or your family may go back to the early 1800s. Just tell us your name, the name of your first family member to live in Wabash County, and when they moved here. Even if you don’t choose to do a family tree, let us know when your earliest family member came to Wabash County, and we’ll include you in the timeline displayed in the front window of the Center for History. You can e-mail the first family member information to nmhistory@cinergymetro.net, call 260-982-0672, or visit the Center for History.